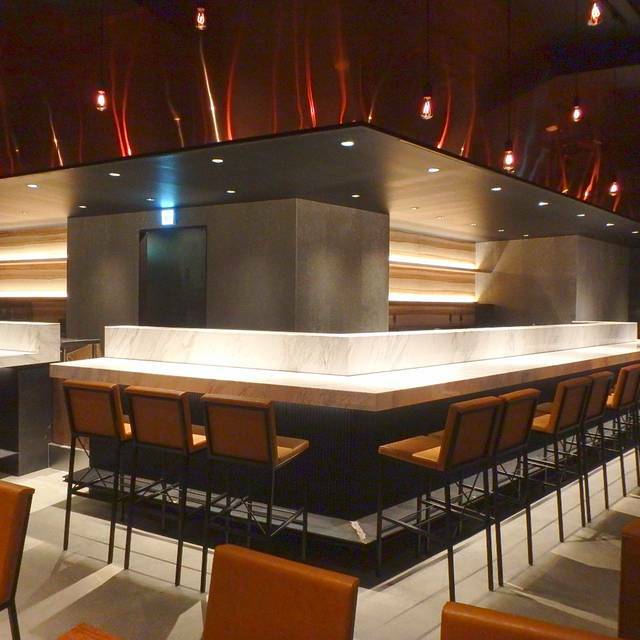 "Kinka, a hidden gem where amazing sushi/sashimi and sake are served". We serve not only the classic nigiri sushi, made from the freshest ingredients, but also Canadian lobster sushi/sashimi, blow-torched pressed sushi, and gorgeous sashimi platters. Our bartender also offers a wide array of the best sake, shochu and Japanese-influenced cocktails. The interior, designed by a Canadian designer, offers a very elegant and warm ambiance perfect for any occasion, ranging from dates to business meetings to even a quiet evening alone as you enjoy some light tapas and a glass of wine. We proudly present our Canadian lobster nigiri sushi and sashimi platters. The sweet and succulent lobster harmonizes perfectly with soy sauce. We flavour the pressed sushi with our KINKA original sauce and torch the surface. This unique take on sushi is loved by both Japanese and non-Japanese alike. Great atmosphere and customer service. I enjoyed the wine selection and food presentation. Great date night. Hospitality is better than Shibuya. Casual sushi.